When someone is leaving the office, there will be always the question of, "Who's next?" As for me, I see no reason of leaving now as I enjoy my jobs, love the challenge it offers me and like the people around me. But, I'm not gonna lie. I've actually thot bout it. Maybe once or twice. And it's becoz of one or 2 persons. But I never want to be selfish. I don't want to leave something that I enjoy just becoz of these people. They didn't deserve it. Also, there's always the lure of money. Again, it has gotten into me. After being in the business for some time, I know what my price is. Maybe what I make today is not as much of what I'm valued at. But sometimes, at one point of your life, money is not everything. When I leave my previous company, money is not an issue, even tho it shud be. I'm so close with my previous boss, and I even asked for her opinion. I enjoyed working there. She gave me total freedom to make my own decision eventho I knew, deep in her heart, she didn't want to let me go. But after thinking it over, due to so few problems there, it is best for me to move on. Wind of change. Have I regretted it? Not yet. 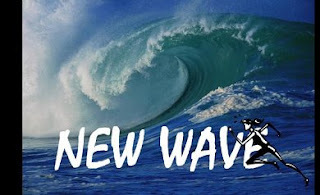 After he's gone, there will be new wave. Big change to all of us in the office. We hope for the best. Wish me and all my officemate, the best of luck. We really need it.